5 sec: the straight along GP-Sträcke is cut (entrance GPsträcke-exit GPsträcke, abt 200 meters straight along T13: 5sec) This is done to allowe drivers to enter T13 (the area they use for pit) without forfilling another lap after finishing their record attempt. 1,5 sec: During trackdays with open pitlane/Supertest/industry configuration and VLN, we pass Bridge at almost topspeed (abt 250kmh for 1 M) as we keep flat on the long straight to Dottinger Höhe, whilst at BTG without open pitlane we pass Bridge after accellerating only from the cones after entering at main entrance. For the 1 M this adds up to a speed of abt 150-160 km/h when passing Bridge. That costs abt 1,5 sec extra compared to flying by at 250km/h. Total difference BTG without open pitlane vs Superlap is abt 18 sec for the BMW 1 M. For a car with higher topspeed, like the 991 RS, the difference is abt 17 sec, maybe a bit less. Estimated BTG without open pitlane fro BMW 1 M: 7:57, very far from the 7:49 claimed. Upgraded tires and suspension and pads will however cut that dramaticly and make 7:50 realistic. The torque is 450 Nm@1500-4500rpm, with "Overboos" 500 Nm. As tested by the excellent drag strip drivers at Motor Trend the 1 Series M coupe does the 1/4 in an excellent 12.8 @ 109.6 mph with a true manual transmission, the Mustang GT does it in 12.7 @ 111.6 mph also with manual transmission, and the M3 with the DCT gets 12.6 @ 113.4 mph. Clearly time is lost with a true manual transmission, but all three cars are quite quick. 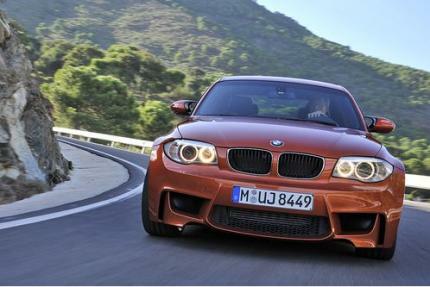 I think the DCT is necessary to get a 0-200 kph in 15.2 seconds with these cars, and only the M3 has it. The acceleration advantage of the DCT with its super quick shifts even show up on the front straight of VIR with peak speeds as follows: 1 Series M 133.9 mph, Mustang GT 137.1 mph, and the M3 with DCT 139.4 mph (Car and Driver issues 2/12, 2/11, and 11/08). 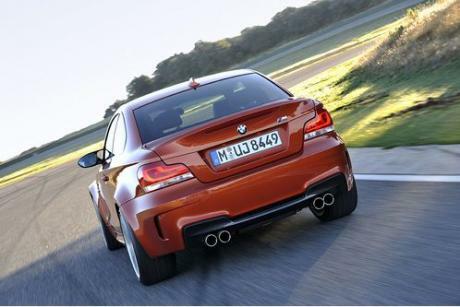 I think the M3 can do 0-200 kph in 15.2, and the 1 Series M coupe in 16.3, and the Mustang GT somewhere in between. Just my thoughts. @ Georg : Thanks my friend , your source is right . I believe in you , but some different numbers in magazine road test's makes a little problem . @ BR2, : Yes , you are right , but in most of the magazine road tests , the trap speed is sub 110 mph . @Bijan, that 1/4 mile time has been recorded by a few different magazine tests, R&T, AutoMotorUndSport, C&D, MotorTrend, between 12.8@111, and 13.1@107. fastest vs slowest, and 12s have been recorded multiple times. I could believe the GT 5.0 could reach 0-200Kph in 15.2s, but like the 1M, it doesnt have a DCT, so im sure some skill is required to get it that fast, a trap speed of 112Mph in the 1/4, mixed with the time of 12.7, 12Mph in 2.5s "Could" be accomplished i believe, its 200lbs heavier then the 1M, but roughly the same torque and Aerodynamics, but also 80Bhp More, and since its roughly in 3rd gear, i say its possible, i "think" the "Real" pros have gotten 12.3@115 at the strips on the GT 5.0, so i would say its definetly possible to get that time, unlikely a amagazine would get it, since there getting 16s-17s, but magazines have a limited amount of time with the cars in order to get said performance. If accept the quarter time , so the 15.2 seconds is possible . But I can't believe the 12.8 @ 111.5 for this car , this number is so optimistic . @BR2' you could be right. A 1/4 mile of 12.8 at 111.5 mph is pretty darn quick. That would be holding 3rd gear to the rev limiter. According to Car and Driver 3rd gear reaches 111 mph at 7000 rpm. 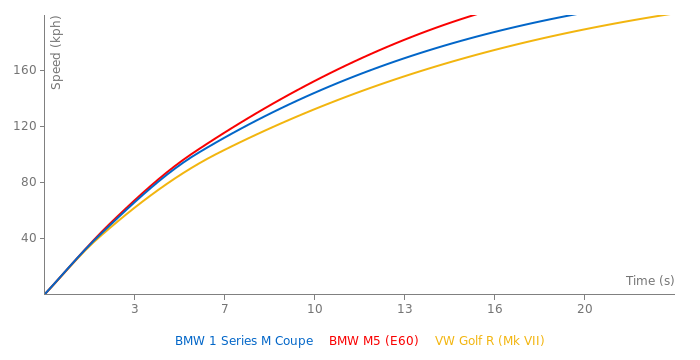 Of course if 0-200 kph can be reached by the 1 Series M coupe in 15.2 seconds, then what time can a 2011 Mustang GT do the 0-200 kph in? It does the 1/4 mile in 12.7 at 111.6 mph at the top of 4th gear (7000 rpm). The Cd of the Mustang is 0.36, but it has slightly more frontal area so call it about even. At VIR it had an excellent peak speed of 137.1 mph vs. the 133.9 of the 1 Series M. Could the Mustang also reach 0-200 kph in the 15.2 range? I agree that a good magazine test would be roughly 16.2 seconds (AutoZeitung got a 16.3). Having said all that, the 1 Series M is a better handling car than the Mustang GT, and it was 2 seconds a lap faster at VIR. If you factor in, a 12.8@111.5s 1/4, or even a lower 1/4 with a "Real" pro, i think 15.2s is possible, but if were gonna go with Magazine inducted times, 16.2s seems more in the realm of being accurate, also though, driver skill and conditions can also play a big part in this, and since this car doesnt have a DCT, the time would be further, as the multiple differences in 0-200kph are show, saying that also, the 1M has a drag coeeficient of Cd.37, and at speed above 110mph they really start to take change. also gearing too, but i duuno how its geared. Im fine if the mods wanna keep it or change it, i don really care. 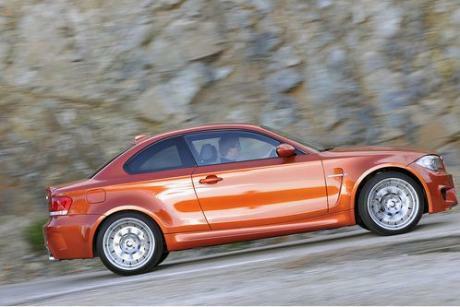 I think that the best for a stock 1 Series M coupe in 0-200 kph is the 16.3 by AutoZeitung. I think that the new model Boxster S should get somewhere between 16.0 to 16.2 in a best case scenario. Just my guesses on that. Another car with a similar 0-180 kph is the 2011 Mustang GT 5.0 at 12.7, I believe that it is also quicker at high speeds than the 1 Series M coupe. At VIR it had a rather poor exit speed from the Hog Pen of 95.2 mph, but its peak speed on the front straight was 137.1 mph. Quite a bit faster than the 1 Series M of 133.9 mph. It thus should be quicker at 0-200 kph I should think. 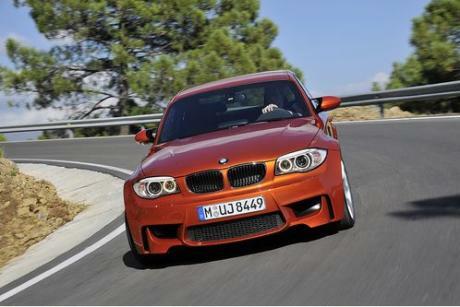 I am pretty sure that a stock 1 Series M coupe can't do 0-200 kph in only 15.2 seconds. I believe a 2013 Model year Boxster S is a little quicker than the 1 Series M, and it is quoted as having a 0-200 kph in 17.3 seconds. I believe that the speed at the end of the front straight at VIR is a good indicator of high speed acceleration. The exit speed from the hog pen (the last corner before the front straight) for the 1 Series M was an excellent 97.6 mph, the Boxster S 96.3 mph. However the peak speed on the front straight is: 1 Series M 133.9 mph versus 136.7 mph for the Boxster S. So it seems likely that the Boxster S should be quicker from 180 kph (112 mph) to 200 kph (124 mph). At least that seems logical to me. I think up to 180 kph they are about the same based on the MT 1/4 results: 12.8 @ 109.6 (1 Series M) versus 12.7 @ 109.7 (2013 Boxster S). Thas the only source i could find, but again, i dunno the method, its a very real chance it was done just by a speedo, and is the only evidence of such a time, but im not gonna say it cant be done. @BR2' thanks for finding the source. I watched the video several times, and it looks like they are going off the speedometer. If I am correct, then the 0-200 kph time should be deleted. I dont know what there testing method was. @BR2' thay even don't had GPS... shoud be delete. Heres the link, Although, im not really sure i could call that a reputable source as i havent looked much into it though. but i dont see any reason why it wouldnt be..
"To be honest I don't know the source of that 15,2 s-time. Factory's claim is 17,3 s.
15,2 s is waaaay too optimistic." @Mental I agree with you. Looking at the acceleration times, they seem very good yet believable up to and including the 180 kph time. I think the 1/4 mile is correct and the trap speed is almost 180 kph, so 12.8 is probably correct and from a legitimate source. The 15.2 to 200 kph is glaringly optimistic, and probably needs to be deleted since there is no source for it. Actually I've never believed the performance done by 1M Coupe. It actually uses the same engine as in Z4sDrive 35is. Though the 1 weighs almost 100 kg less and has better aerodynamics, but still, such a huge performance difference between them is unbelievable. And 1M uses a manual gearbox in comparison to Z4's DCT. This is another example of BMW underrating their engines. The acceleration is very similar to a Mustang GT. The 0-200 kph is incorrect though, SportAuto tested it and got 17.2 seconds. There is no source for a 15.2, maybe it represents a typo and they meant 17.2? I have wondered about that 9.8s 0-100Mph time, what is the souce on that? M3 CSL does it in 10.5s, Z51 does it in 9.2s. But i have suspected for a while that Bmw is Underating the power of there cars..
No way is 0-100mph done in under 10 seconds on this, a BMW m3 CSL with the same sort of power and far less weight to carry can't get anywhere near under 10 seconds, a corvette c6 barely makes it under the 10 sec mark. And the 0-200km/h is another one that just looks wrong, that makes it faster than the c6 corvette to 124ish mph, despite having less power, less torque, a small passenger more in weight. It's getting to the point where I don't trust car magazines anymore as it's evident car companies are paying off certain magazines to provide less than honest data. @BR2, This is NOT official BMW lap time.... Just user that you modify your car to ride around the track better. Not sure why they would alter the car, but im curious as to why, then publish a laptime?